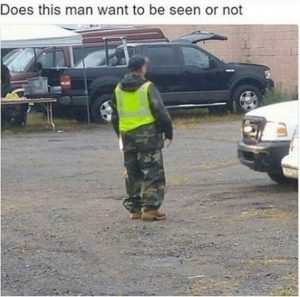 1) What can you see? 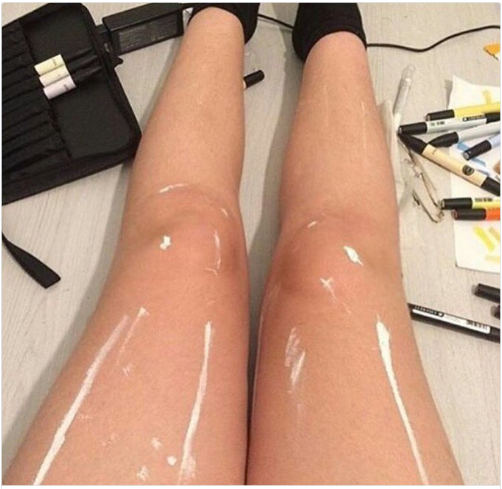 Shiny legs or painted legs? 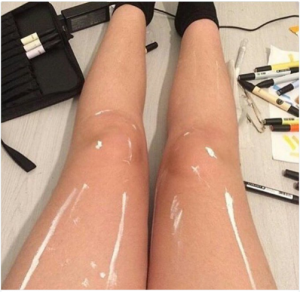 This is still making my eyes hurt! 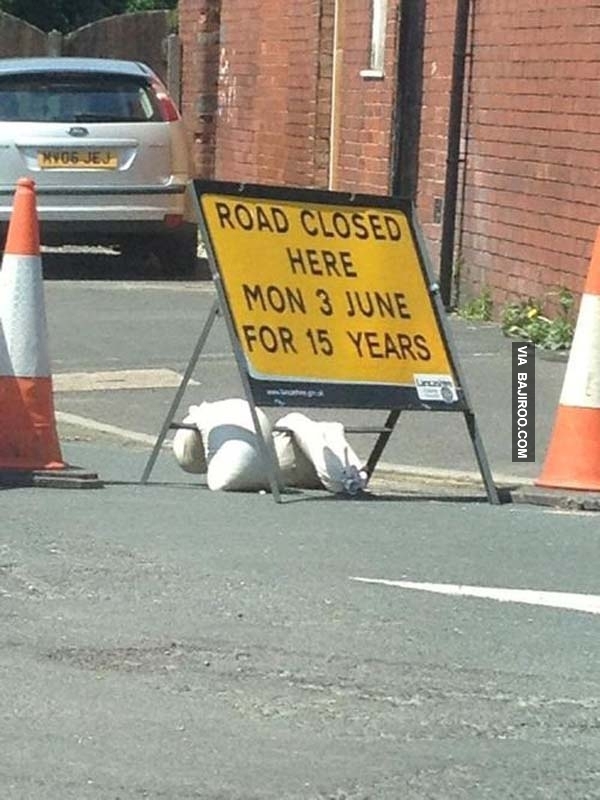 2) When a road sign goes wrong… or maybe not? 3) He’s very much defeating the object isn’t he? And of course, nothing finishes a Friday off more than a compilation of construction fails!